How To Make A High Performance Engine! - Muscle Cars Zone! 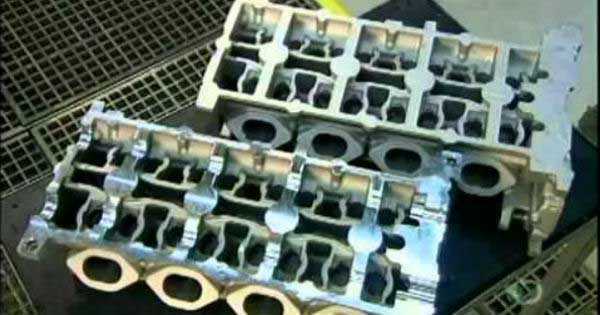 How To Make A High Performance Engine! When it comes to making a high performance engine in your back yard, nope, this is not the video that`s going to help you do that. However, it`s cool to watch this guy assemble the engine out of a clay mould (which probably took years to build perfectly). First, he takes the mould and pours molten aluminum down the holes, which pretty much makes the entire engine block for him. He then takes all the clay out and passes the entire thing under a pressure washer to make sure it`s clear of any clay or other residue on the inside. Once the entire construction is clean, he puts in some additional parts which he may or may not have bought from the store across the street. Adding in some more perfectly crafted store-bought parts to his new high performance engine, this guy`s next step is to make sure that everything is properly lubed up. So, he takes a sponge-screwdriver thingy, sticks it in some lubricant and swirls it around the connective joints of the engine which will later help him connect them to other parts. A few more checks and now the engine has magically become smoother, as if it didn`t come from a mold of molten aluminum not half an hour earlier! Truly incredible, a wonder of science! Or he just switched it out with a new, again, store-bought engine. When all is said and done, he inserts some more parts into the block and the next shot we see is a Ferrari cover placed on the engine and then a Ferrari car speeding away. Implicit, isn`t it? However, it`s much more fun than it is useful in building your own high performance engine! Now, these are the best 10 engines made in the last 20 years! Do you agree?